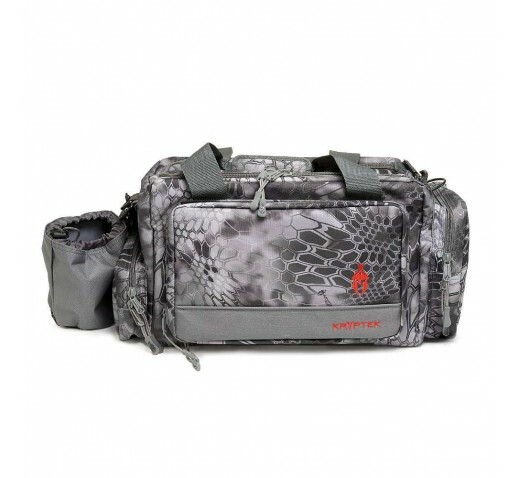 Kryptek’s Elite Range Bag in Typhon or Raid camo utilizes a “U” shaped zippered closure allowing full access to the main compartment. 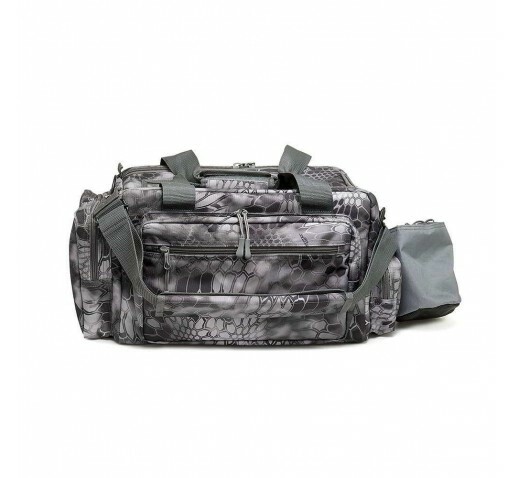 An oversized ID holder on top makes it easy to locate and identify your bag. 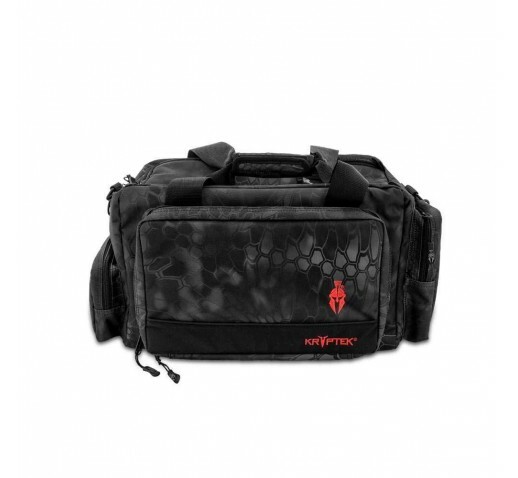 The Elite Range Bag is constructed of rugged 600D Polyester weather resistant fabric. 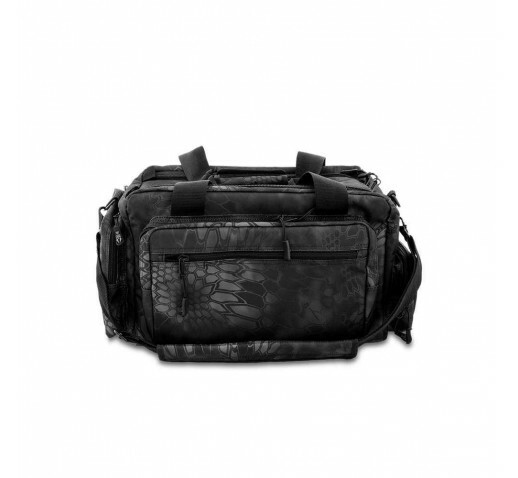 It includes a shoulder strap with heavy-duty metal swivel snaps and a large padded shoulder pad.